The Moscow Metro is rolling out a super-friendly blue-eyed android to greet passengers on holidays and special occasions, after a series of successful tests during the New Year’s holidays. 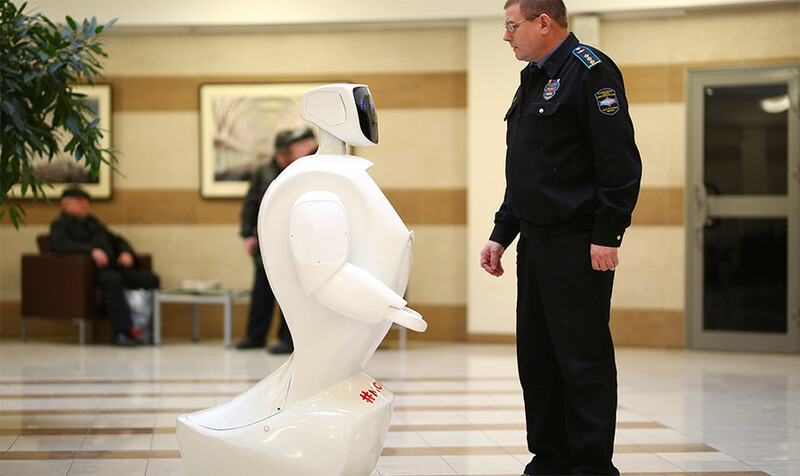 “The robot has a sense of humor, he can exchange jokes with passengers,” a press release by the Moscow City Hall reads. “The android is also capable of remembering names and faces of those he met. The robot can wink, change his eyes into hearts, take photos and print them,” the office describes the robot’s advantages. 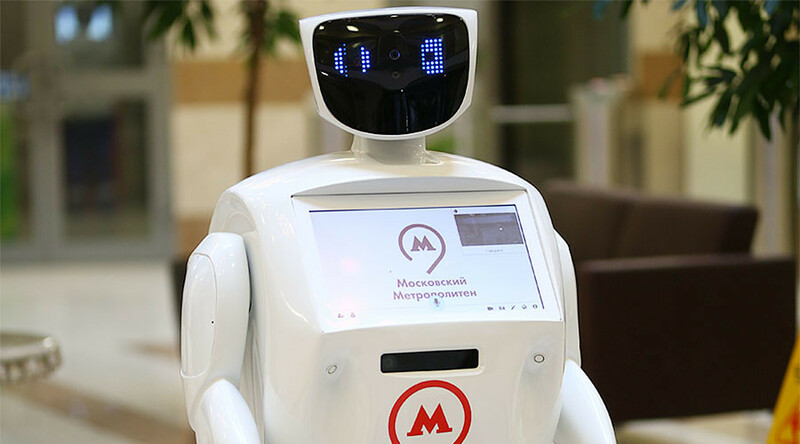 The robot, currently stationed in the main office of the Metro, is lovingly called “Metrosha,” and is a favorite with the staff. Back in summer 2016, a prototype of the Russian android tried to escape the testing grounds and caused street havoc in Perm, not far from the Urals. “The robot was learning automatic movement algorithms on the testing ground, these functions will feature in the latest version of the Promobot,” the co-founder of the robot’s maker, Oleg Kivokurtsev, said, explaining the surprise getaway back in June 2016. These friendly robots proved a hit in China as well: Promobot exported five robots to China in 2016 and will deliver another 100 by the end of 2017.